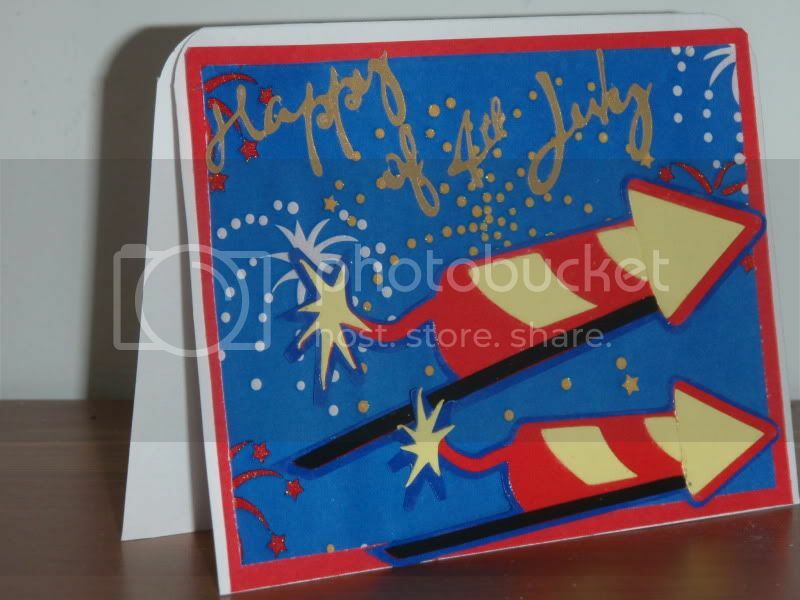 Here's a simple 4th of July card using the Block Party Cricut Lite cartridge. It was given to my husband's great-uncle. I finished the card this morning, however have been on the since the moment I woke up around 530am. We just got home from a bbq at his parents' house, so I can finally do some quality blogging and crafting. 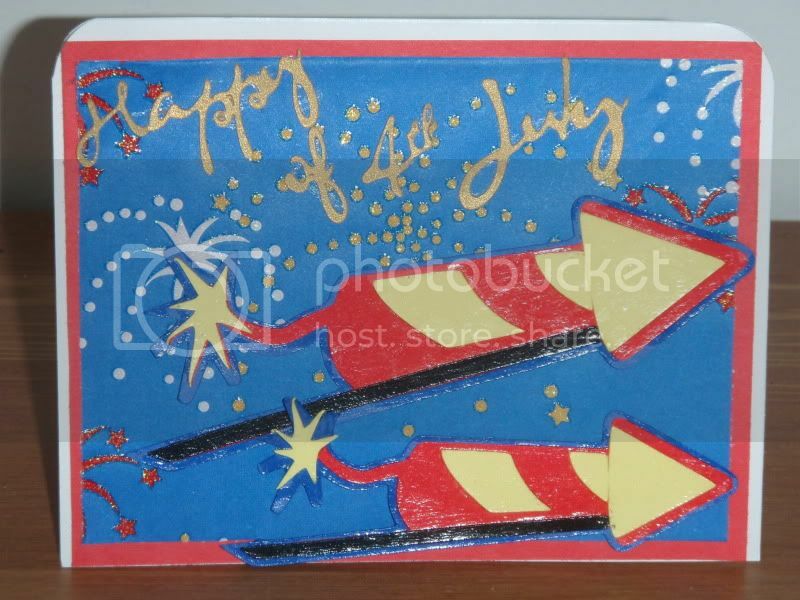 - Red card stock cut at 4 x 5.25"
- Pattern 4th of July themed paper from the Target dollar bin, I think, cut at 3.75 x 5"
- Rockets from Cricut Lite Block Party cartridge cut at 4" and 5"